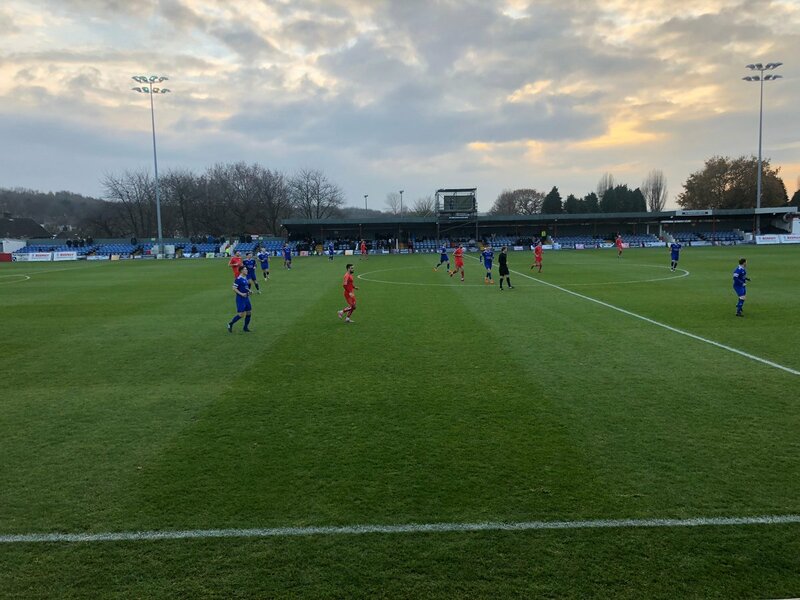 Alfreton Town were knocked out of the FA Trophy on Saturday as Evo-Stik Premier Division side Farsley Celtic sealed a deserved upset victory, at the Impact Arena. Billy Heath brought in James Clifton and Nathan Hotte to the starting line up, Danny Clarke returned to the bench. The visitors started the game with confidence and composure, with the Celts sitting in third place in the league below and on a good run, they took the game to the Reds early on. Moving the ball around and keeping tight to Reece Styche and Craig Hobson. Clifton mustered the first effort for us which was spilled by Trenerry from range as the ball slid past the post. Farsley responded as Atkinson looked to get past Martin Riley in the box, the resulting corner was cleared. It was a low-key first half but one in which Farsley were settled and creating the better attacking moves, Wilde cleared a cross away from Atkinson as the Reds struggled to create chances and were sloppy in discipline as Celtic earned free kicks in abundance in the first half. With 25 minutes gone, Farsley took the lead as Cartman finished down the middle past Ramsbottom after good hold up play whch saw the ball layed to him, from a cross on the right. An already confident Celts had a spring in their step as Hayhurst forced a save from Sam Ramsbottom to his right, Atkinson was put through but the offside flag denied him as through balls to Hobson saw an offside flag raised and too much pace on the next attempt denied Styche. After 44 minutes, Farsley made it two as Spencer found space in the box and finished acrobatically from close range after another cross. A massive second half was needed from us and we started on the front foot as Callum Chettle razored an effort low to Trenerry's right which was well saved. Tom Allan glanced a chance over the bar after Riley nodded a far post corner to him. There continued to be a lack of clear cut chances for us as Farsley were happily staying organised and pressing us, Hobson had a big chance after 62 minutes, heading a Riley header towards him over the bar. Turner fired over the bar at the other end before Sam saved well to deny Walker in the box and then a free kick from Hayhurst from distance. Allan had enough effort as he headed wide inside the box but the Reds lacked creativity throughout and looked below-par in both attack and defence. Sam denied Farsley another chance in the box as he palmed a low shot onto the post, in stoppage time our misery was increased as Luke Shiels was sent off for a second bookable offence and sealed a deserved win for Farsley. Alfreton will need to find their creativity and their confidence quickly in order to turn results around, a lack of urgency coupled with an out of character display saw another poor result at home. Next up, a real confidence booster is needed as Buxton visit the Impact Arena on Tuesday night in the Derbyshire Senior Cup Quarter Final with a 7.45pm kick off. ATFCXI: Ramsbottom, Clifton, Wilde (Clackstone 71), Chettle, Riley, Shiels (c), Bateson, Hotte (Platt 54), Hobson (Clarke 79), Styche, Allan. Subs Not Used: Lynch, Nicholson.